TALLAHASSEE — Calls are building for an investigation into the forced resignations by Attorney General Pam Bondi of two lawyers investigating foreclosure fraud. A state lawmaker on Wednesday requested all documents related to the resignations, while a liberal public interest group has been circulating a petition asking for the state inspector general to investigate. At issue are the departures of lawyers June Clarkson and Theresa Edwards, who led foreclosure fraud investigations under former Attorney General Bill McCollum. Clarkson and Edwards were forced to resign in late March from their posts in the Fort Lauderdale economic crimes bureau. The two had received positive job evaluations from McCollum. "As a member who represents an area ravaged by foreclosure fraud, these terminations present an overwhelming public concern," said Rep. Darren Soto, D-Orlando, in a letter to Bondi. Progress Florida, a St. Petersburg advocacy group, is asking for an investigation into Bondi's actions. Attorney General Pam Bondi is defending the resignations. "We think the big banks and the financial industry have leveraged their enormous political power to have these attorneys removed," said Mark Ferrulo, executive director for Progress Florida. Bondi said that such suggestions are "unfounded and offensive." "The decision that supervisors made to end the employment of these two employees, like every decision made in my office, was made based on sound policy and responsible management," she said Wednesday in a prepared statement. 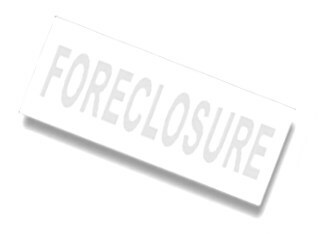 "We are more aggressively pursuing foreclosure law firm investigations and have substantially increased the amount of time and more than doubled the number of employees working on these investigations." In an interview with the Times/Herald, Clarkson said that after Bondi took office, she and Edwards were questioned intensely about their ongoing cases by Richard Lawson, appointed by Bondi as head of the Economic Crimes Division. In particular, he asked about Jacksonville-based Lender Processing Services and Tampa-based ProVest, Clarkson said. "We were under fire like you have no idea," Clarkson said. "It was like our home team was against us." Lender Processing Services donated more than $40,000 to campaigns in the 2010 election, largely to Republican candidates, including Bondi. The company donated $36,500 to the Republican Party of Florida, according to campaign finance records. Lawson, who started working for Bondi in late January, said he questioned the two so he could get up to speed on the cases. "The cases were in shambles," he said. "That was quite problematic given the priority nature I was giving this." Bondi's chief of staff, Carlos Muniz, said the two were terminated because of poor job performance. Problems included analysis of legal issues, judgment in discussing investigations with third parties and professionalism, he said. "It was only out of basic professional courtesy that I authorized giving Clarkson and Edwards the option to resign rather than be fired outright," Muniz said. "Their performance was unacceptable." He called it a "mundane personnel decision" that has been sensationalized and said it's incorrect to conclude their dismissal means Bondi isn't interested in investigating foreclosure fraud. "Nothing could be farther from the truth," Muniz said. The office currently is investigating 10 law firms and businesses for possible improprieties in foreclosure proceedings, including Lender Processing Services and ProVest, he said. He also said in the past three months, employees in Bondi's office have spent more time on foreclosure law firm investigations than Edwards and Clarkson did in an entire year.